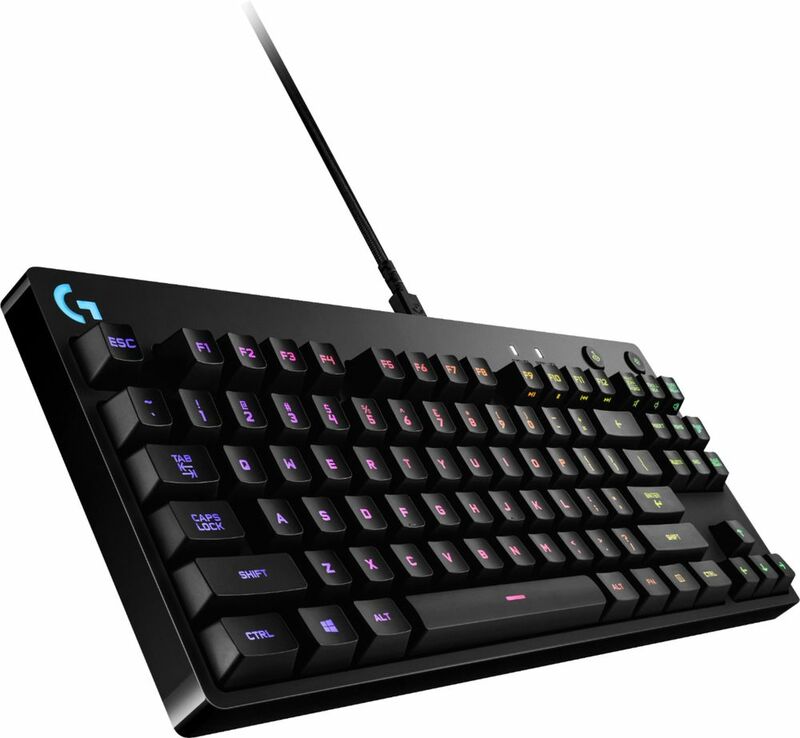 Deliver winning strokes with this mechanical Logitech G Pro gaming keyboard. The Romer-G key switches with 1.5mm actuation provide highly sensitive responsiveness, and the Key Signal Processing system translates strokes up to 10 ms faster to keep you ahead of the game. 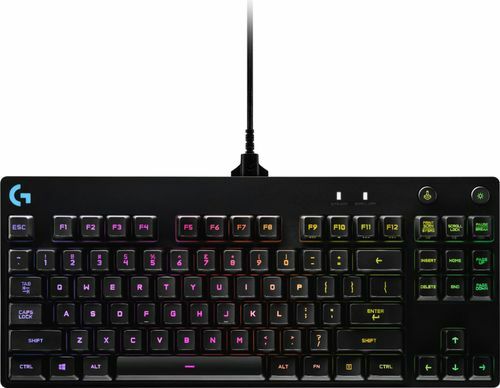 This Logitech G Pro gaming keyboard has 26-key rollover capability to accurately render your complex keystroke combinations. Brilliant RGB lighting: Light up important keys so that they're easy to find in the dark. The Pro keyboard comes complete with approximately 16.8 million colors customization for every key. Romer-G mechanical switches: The Romer-G key switch is purpose-built for pro-grade performance, responsiveness and durability.